Rock Hill, S.C., Dec. 8, 2016—Winthrop University is threatening a student with expulsion or suspension for her alleged involvement in an art installation criticizing the name of a campus building. Today, the Foundation for Individual Rights in Education (FIRE) and the National Coalition against Censorship (NCAC) wrote to the university president to ask that he immediately drop the charges against the student before her pre-hearing interview tomorrow and reaffirm the public university’s commitment to protecting First Amendment rights. During the weekend of November 12, Winthrop student Samantha Valdez allegedly participated in preparing an art installation featuring figures in the trees outside Winthrop’s Tillman Hall alongside a sign reading “Tillman’s Legacy.” Tillman Hall is named after Benjamin Tillman, a governor of South Carolina from 1890 to 1894 whose time in office saw an increase in the number of lynchings of African-Americans. Valdez told the media that her group, Association of Artists for Change, was responsible for the display. She said that the artwork was a protest intended to “ensure genuine emotion from the viewer” and to create an “aesthetic dialogue” about Tillman’s legacy. 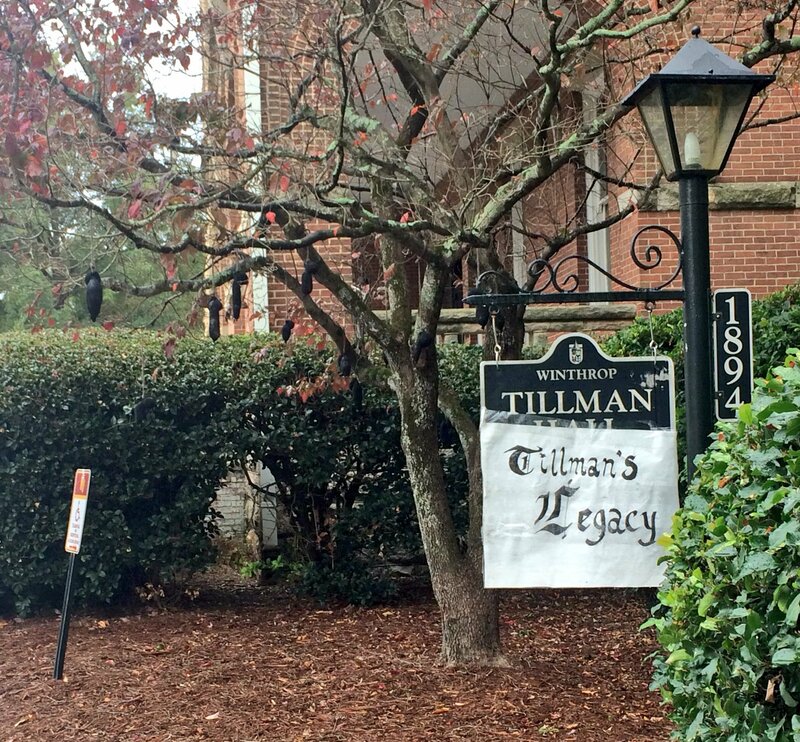 Tillman Hall has been at the center of student protests for months due to its namesake. The National Coalition Against Censorship (NCAC), founded in 1974, is an alliance of over 50 national nonprofit organizations, including literary, artistic, religious, educational, professional, labor, and civil liberties groups dedicated to promoting the right to free speech.